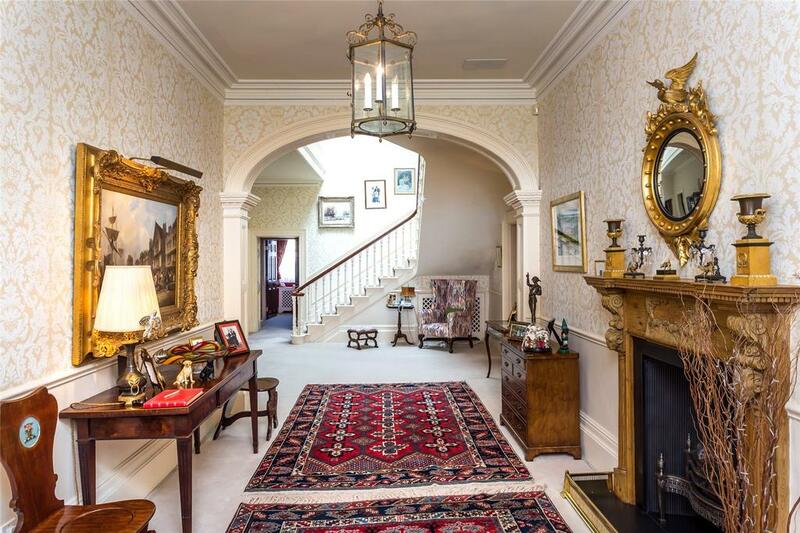 A small country estate with an impressive but eminently manageable house at its heart has come up for sale just a few minutes from the beautiful city of York. Penny Churchill takes a look. Tucked away in a delightful secluded location in Bilton-in-Ainsty, the lovely Bilton Hall has just come on to the market at £6.5 million via Savills. It’s a fine Georgian country house located in the centre of its own stretch of parkland, yet is just nine miles from York, 14 miles from Harrogate and 20 miles from Leeds-Bradford airport. There has been a dwelling on the site since 1479, although the present house dates from the early to mid 18th century and was extended and altered in 1865, when the north wing was added. 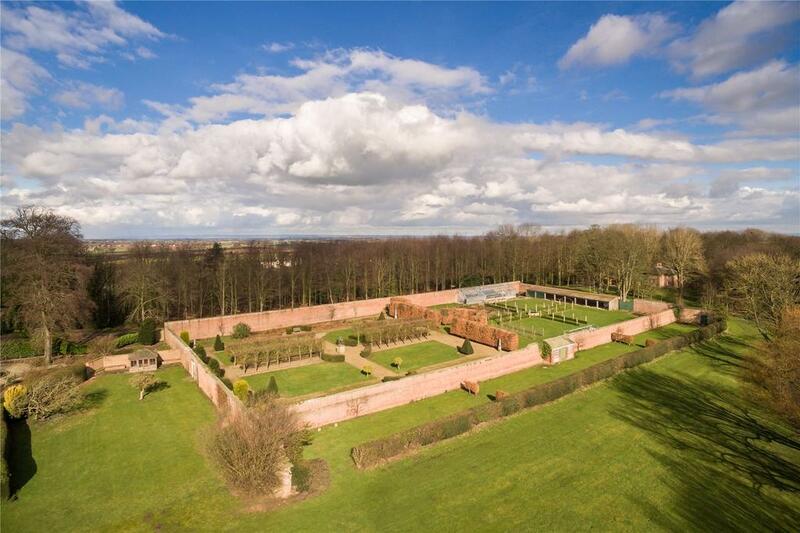 Historically, Bilton Hall was owned by the Snawsell family, who sold it to a Mr Iveson of Leeds in about 1700.  In the later 18th century, it was owned by the Plumer family. According to the listing, a copy of a painting, dated 1792, shows the Plumer family in the grounds, with the same lovely views across the lake to the south and east. 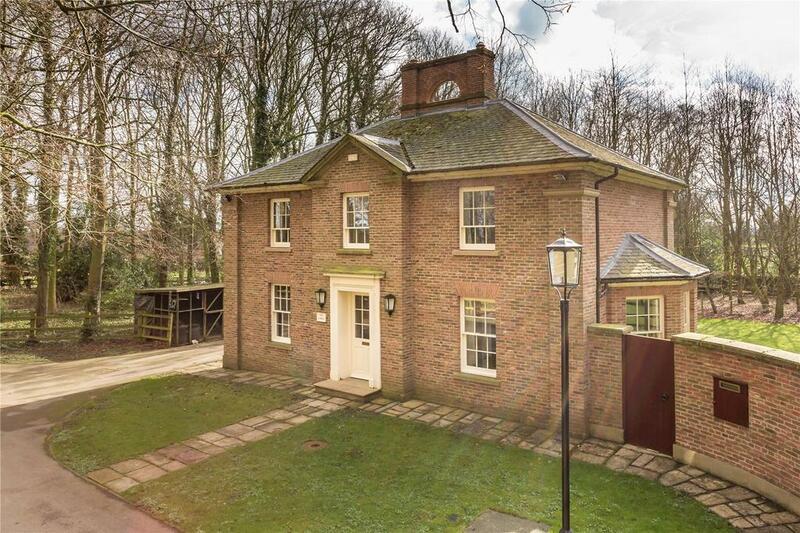 During their 20-year tenure, the present owners have extended, improved, and modernised the property throughout, adding the garage and the four-bedroom Lodge House (below) and transforming the interior into an elegant, comfortable and practical family home. The main house offers some 10,870sq ft of accommodation, including four/five reception rooms, a breakfast kitchen, billiards room, master suite, six/seven bedrooms and six bathrooms. 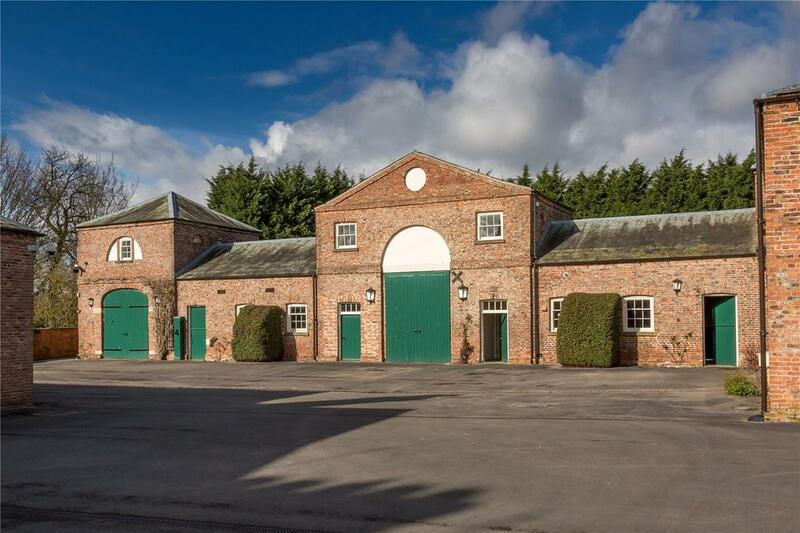 That main house is just the start, however: there is a further 9,100sq ft of living space, plus traditional stables, in the former coach house and outbuildings. 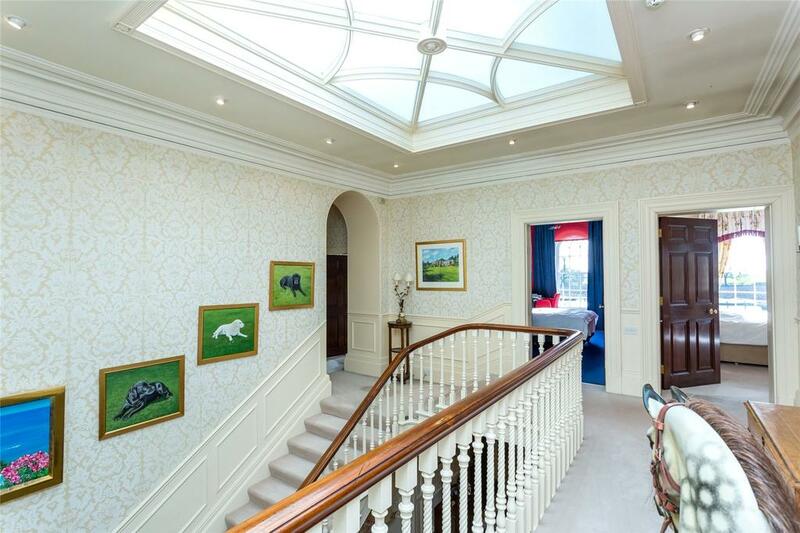 A sweeping carriage driveway, flanked by parkland, amenity woodland and ponds, leads to the front of the house, with lawns leading down to the lake and a magnificent walled garden. The farmland is let on short-term agreements to local farmers and sportsmen and within the grounds are a former ice house and Bilton’s treasured cricket pitch. 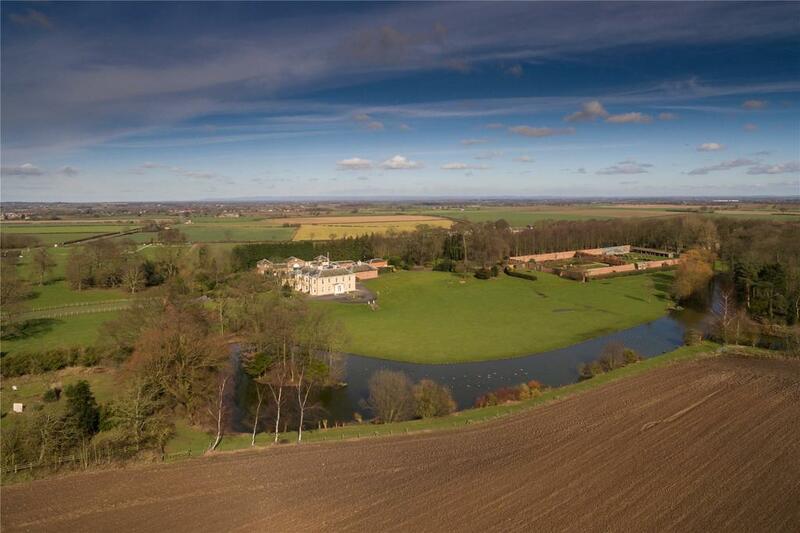 Bilton Hall is for sale via Savills – see more details and pictures. It might seem borderline outrageous to liken a house – any house – to the great French royal palace at Versailles.